This Pickled Spring Garlic Dressing recipe can be used in endless ways–try it as a seafood marinade or for dipping artichokes. 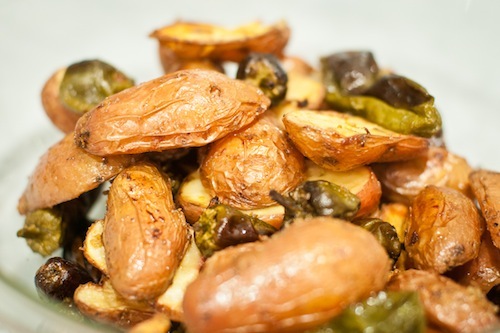 We decided to roast Fingerling Potatoes from Happy Boy Farms thanks to their buttery texture and thin skin which doesn’t need to be peeled. 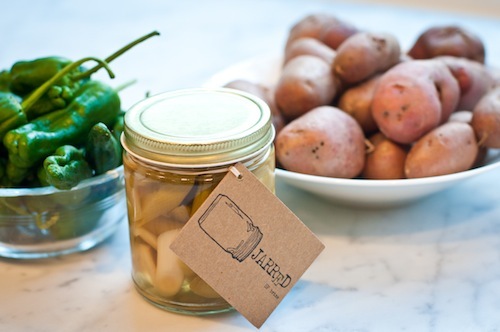 For a little smokey spice, we added Padron Peppers from Blue House Farm. You can find the full recipe after the jump. 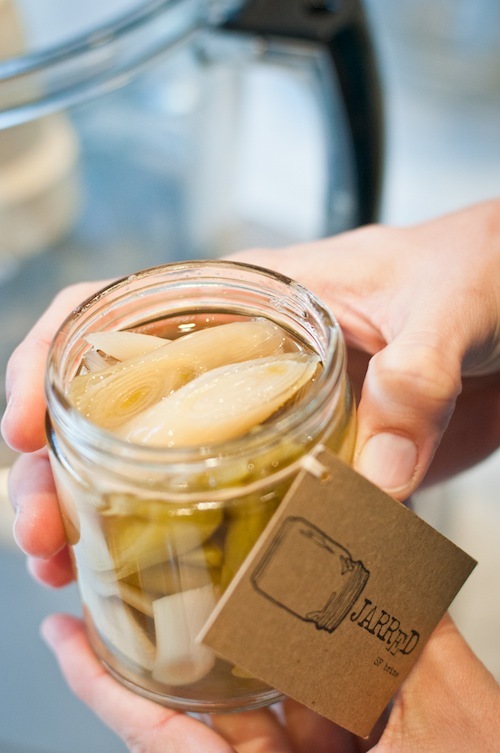 – Place the pickled Spring Garlic and 1/2 of the brine in a food processor or blender. Season with a little salt and pepper and begin to blend. – While blending slowly add 1/2 c. of olive oil. Once smooth, taste the mixture and add more brine, salt or pepper as necessary. 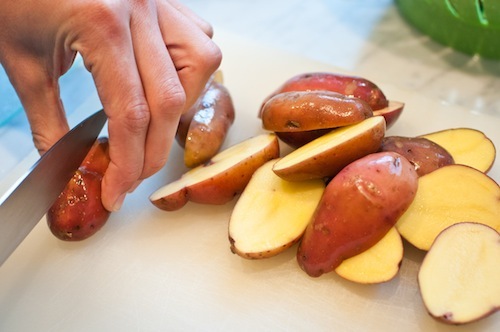 – Cut potatoes in half length-wise and toss in a large bowl with 2 tbls. of Olive Oil. Arrange in a single layer on baking sheet. Potatoes will bake for 30-35 minutes. – At 15 minutes, toss Padron Peppers in 1 tbls. of Olive Oil and add them to the baking sheet. Gently shake pan once or twice while roasting to allow Potatoes and Peppers to turn. – When finished, Potatoes should be golden on the outside and easily pierced with a fork. Peppers should be browned and soft. – Remove pan from oven, spoon cooked veggies into a mixing bowl and add 1/2 c. of prepared dressing. Mix until everything is well coated and add more dressing as needed. 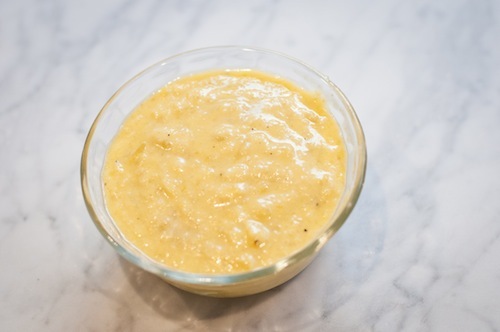 – Serve hot and offer extra dressing on the side. Enjoy!